Getting to and around China is easy, with great transport links and Tianjin city just 30 minutes from the vibrant city of Beijing. Transport here is cheap and easy to use, making exploring new and exciting destinations even easier. 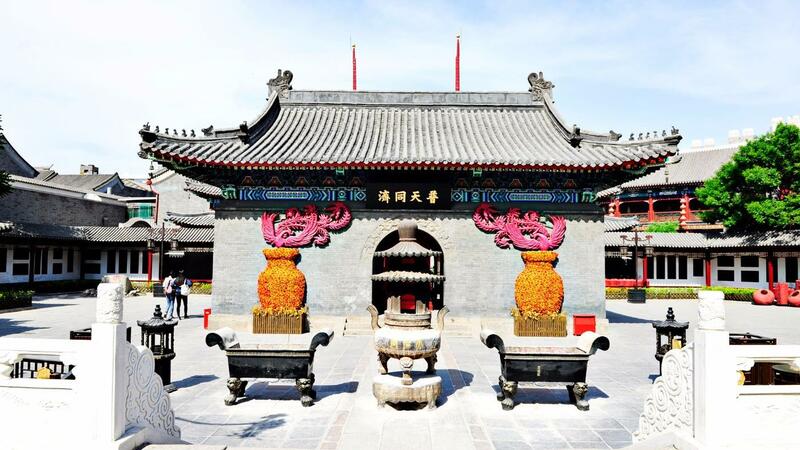 The easiest way to reach Nankai University is to fly to Tianjin Binhai International airport (TSN), which you can fly direct to from East Asia or South East Asia. From anywhere else in the world, you might need to transfer at one of the major international airports such as Shanghai. Once you land at TSN, you can collect your luggage and head to the arrivals hall where you’ll find someone from INTO waiting for you with your name on one of our branded signboards. The it’s just a 30-minute transfer to your accommodation where you can unpack and freshen up. While we recommend flying to Tianjin, you may find a more suitable flight to Beijing Capital International Airport instead. This will require a longer ground transfer and you’ll need to take a pre-arranged taxi for around RMB 1000 which you’ll need to pay in cash to the driver. If you choose this option, we won’t be able to meet you at the airport but the taxi driver will inform us when you arrive on campus so we can help you with your check-in. Alternatively, you can take the airport bus which usually has an English-speaking member of staff on duty who can help you with buying your ticket to the Tianjin bus station. This journey takes around 2.5 to 3 hours, followed by a taxi ride to your accommodation. In Tianjin, you’ll be able to make use of the extensive public transport system for getting around the city easily, including four subway lines and hundreds of bus routes. Your campus card will also work as a city transportation card and will work on subways and buses. Subway fares cost around ¥2-5 RMB depending on the distance travelled, and taking the bus costs a flat fee of ¥1-2 RMB on any single bus route. You should swipe your campus card as you enter the bus and you can swipe for up to two passengers per journey. Taxis are a great way to travel around Tianjin, with the starting fare ¥9 RMB for 3km and then ¥1.7 RMB per km after. If you’re unsure how to say your destination in Chinese, there is an additional ¥1 RMB fare added to your cost so make sure you have your destination written in Chinese before you set off. Tianjin is a coastal city but Nankai University is situation in the heart of the city, which is around 90 minutes by road from the port area. If you want to explore Beijing, you’re only 30 minutes away by bullet train. The city is well connected to the local airport, and you’ll be able to take internal trains or flights to see other parts of China easily. It’s a great way of making the most of your time here and exploring far more than just Tianjin. If you need help planning your route, either around the city or beyond, chat to the INTO China Student Services team who will be able to help. Alternatively, you can use Google or Baidu Map smartphone apps to find your way around the city.